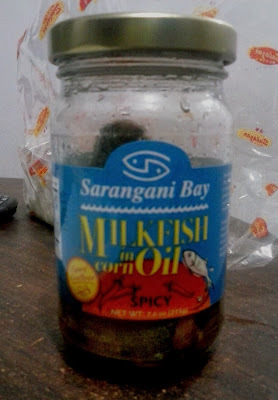 Two weeks ago, a friend gave us this sardines in a bottle, Saranggani Bay. I like Spanish sardines and I liked its taste. It is from Alabel, Saranggani Province, a place where I have already been. So far, Saranggani is the farthest place I have reached in Mindanao. I have reached as far as Alabel and Glan where white sand is so enticing. Never did I swim in Glan, Saranggani for personal reasons. However, what I can assure you of is IT'S PARADISE! 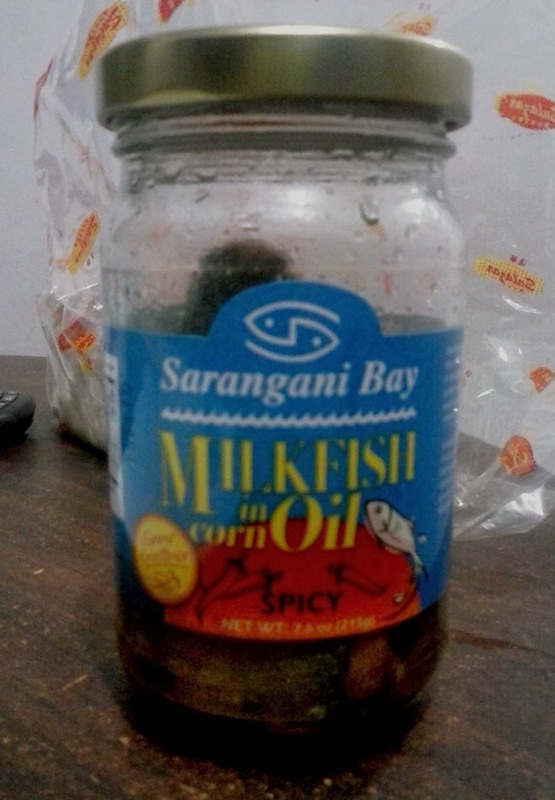 I like the taste of Saranggani Bay sardines and as always, its spicy flavoring. I like spanish sardines because it comes usually in natural flavors. There are no artificial flavors and no other added chemicals. There are more reasons for me to go into organic products especially nowadays. Maybe you can have a taste of one.